The hype started in March 2016 when Lee Sedol, the 18-time world champion was beaten 4 to 1 by super-computer AlphaGo. This match had a huge influence on the Go community as AlphaGo invented completely new moves which made people try to understand, reproduce them and created a totally new perspective on how to play the game. But that’s not over, in 2017 DeepMind introduced AlphaGo Zero. The newer version of an already unbeatable machine was able to learn everything without any starting data or human help. All that with computational power 4 times less than it’s predecessor! 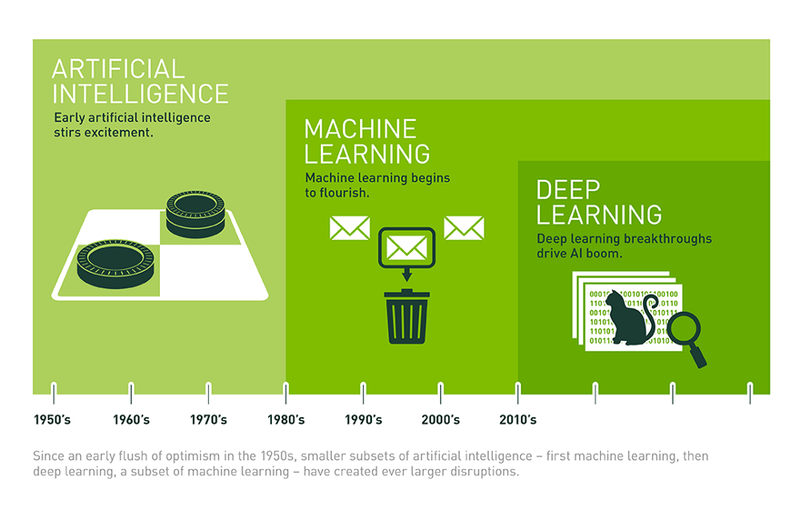 What is Deep Learning all about? Deep learning is a branch of machine learning based on a set of algorithms that attempt to model high-level abstractions in data inspired by the structure and function of the brain called artificial neural networks. In a simple case, consider the image on your left, where you have some sets of neurons: The leftmost layer of the network is called the input layer(L1), and the rightmost layer the output layer(L3) (which, in this example, has only one node). The middle layer of nodes is called the hidden layer(L2) because its values are not observed in the training set. We also say that our example neural network has 3 input units (not counting the bias unit), 3 hidden units, and 1 output unit. Similarly, if it’s a deep network, there are many layers between the input and output (and the layers are not made of neurons but it can help to think of it that way), allowing the algorithm to use multiple processing layers, composed of multiple linear and non-linear transformations. Sidenote from Biology: Like our human brain has millions of neurons in a hierarchy and Network of neurons which are interconnected with each other via Axons and passes Electrical signals from one layer to another called synapses. This is how we humans learn things. Whenever we see, hear, feel and think something a synapse(electrical impulse) is fired from one neuron to another in the hierarchy which enables us to learn, remember and memorize things in our daily life since the day we were born. 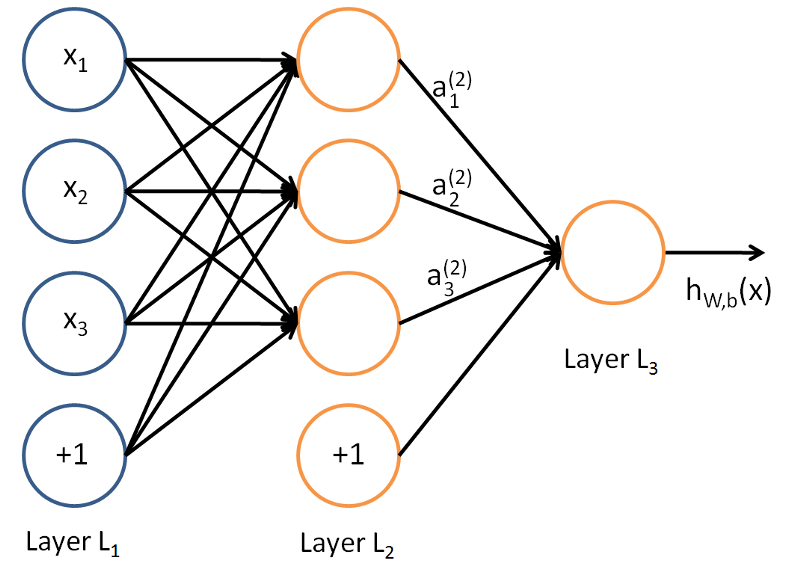 A neural network having more than one hidden layer is generally referred to as a Deep Neural Network. How Deep Learning differ from Traditional Machine Learning? 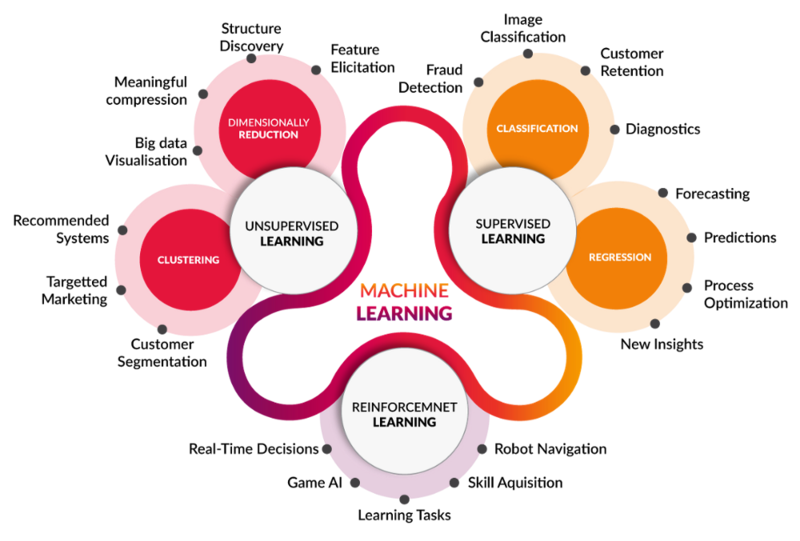 One of the major differences between machine learning and deep learning model is on the feature extraction area. Feature extraction is done by human in machine learning whereas deep learning model figures out by itself. Deep learning models tend to perform well with the amount of data whereas old machine learning models stop improving after a saturation point. Machine learning algorithms and deep learning algorithms have different problem-solving approaches, in one hand a machine learning algorithm breaks the problem into different levels where, at each level, the problem is solved and then the solution of each level is combined to form the solution of an entire problem while in deep learning the problem is solved end-to-end as a whole. Machine learning algorithms interpret crisp rules while deep learning does not i.e. result interpretation is more appropriate in machine learning while deep learning lacks this ideality. In general, the training time of deep learning algorithms is high due to the presence of so many parameters in the deep learning algorithms whereas machine learning comparatively takes lesser time in the training procedure. This is then reversed for the testing time. The testing time for machine learning is higher than deep learning. What are activation functions all about? Activation functions are really important for an Artificial Neural Network to learn and make sense of something really complicated and Non-linear complex functional mappings between the inputs and response variable. They introduce non-linear properties to our Network. Their main purpose is to convert an input signal of a node in an A-NN to an output signal. That output signal now is used as an input in the next layer in the stack. One of the simplest activation functions is the Heaviside step function. This function returns a 0 if the linear combination is less than 0. It returns a 1 if the linear combination is positive or equal to zero. Specifically, in A-NN we do the sum of products of inputs(X) and their corresponding Weights(W) and apply an Activation function f(x) to it to get the output of that layer and feed it as an input to the next layer. Other activation functions you’ll see are the logistic (often called the sigmoid), tanh, and softmax functions. What is the error and loss function? 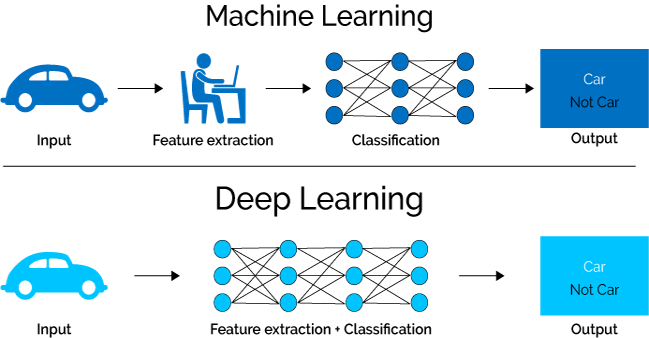 In most learning networks, the error is calculated as the difference between the actual output and the predicted output. 1. L1 Hinge Error- Calculates the L1 distance between two inputs. 2. Cosine Error- Cosine distance between two inputs. How did Gradient Descent come into play? Gradient descent is an optimization algorithm used to find the values of parameters (coefficients) of a function (f) that minimizes a cost function (cost). Gradient descent is best used when the parameters cannot be calculated analytically (e.g. using linear algebra) and must be searched for by an optimization algorithm. Gradient descent is used to find the minimum error by minimizing a “cost” function. Stochastic Gradient Descent performs a parameter update for each training example, unlike normal Gradient Descent which performs only one update. Thus it is much faster. Gradient Decent algorithms can further be improved by tuning important parameters like momentum(which determines the velocity with which learning rate has to be increased as we approach the minima), learning rate(a hyper-parameter that controls how much we are adjusting the weights of our network with respect the loss gradient) etc. The lifecycle of a typical Deep learning application? The lifecycle of a typical (supervised) deep learning application consists of different steps, starting from raw data and ending with predictions in the wild. Note: The flowchart already hints at the circular nature of the typical deep learning workflow. In fact, treating the feedback loop between deployed models and new labels (often called human-in-the-loop) as a first-class citizen in your deep learning workflow can be one of the most important success factors for many applications. In real-life deep learning work, things are often more complicated than the flowchart suggests. You will find yourself jumping over steps (e.g. when you are working with a pre-labeled dataset), going back several steps (model performance isn’t accurate enough and you need to source more data) or go back and forth in crazy loops (Architecture => Training => Evaluation => Training => Evaluation => Architecture). Regularisation is the technique used to solve the over-fitting problem. Over-fitting happens when the model is biased to one type of dataset.